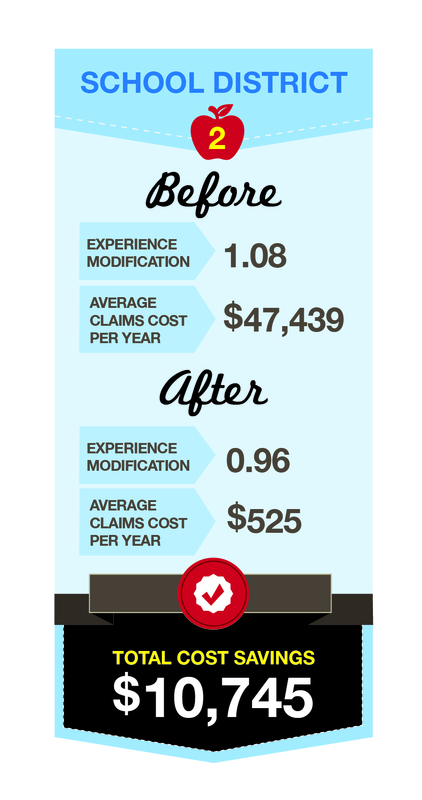 Can You Impact Your Workers' Compensation Costs? Yes You Can! Residing in every WASB members’ offices is a pot of gold. Okay, it’s not really gold, and it’s not in a pot. But it is real money, and can pay dividends for many years. Many districts and CESAs believe the cost of their workers’ compensation insurance has no relationship to behavior, the cost is set by the state, and only the size of the district (i.e., total payroll) changes the cost. None of that is true. Workers’ compensation losses: (also referred to as claims) these are incidents resulting in an insurance company paying medical expenses on behalf of, or indemnity (income-replacement) benefits to, employees injured on the job. Medical-only claims: workers’ compensation claims that contemplate seeking medical treatment and being absent from work for not more than three days. Lost-time claims: workers’ compensation claims where an injured employee is absent from work for a period of four or more days as a result of the injury or disease. Rates by duties: (also referred to as classification codes) these are amounts charged employers by insurance companies per $100 of payroll for employees engaged in certain job functions. For example, class code 8868 is applied to professors, administrators, and teachers, etc. Experience modification factor: In trainings, districts should learn how each of these elements impacts their workers’ compensation premium. Through this educational process, employees quickly see how their actions impact the cost of the district’s workers’ compensation insurance. The slogan, “One for Three” has a special, but not favorable, meaning relative to a district’s experience modification factor. It refers to the fact that any workers’ compensation claim that flows into the pipeline of information used to calculate your experience modification factor remains in the formula for three years. Claims drive up your experience modification factor and workers’ compensation insurance premium — for three years! In calculating an experience modification factor, the Wisconsin Compensation Rating Bureau develops expected losses (from workers’ compensation claims) for different types of jobs. Examples showing expected workers’ compensation losses for teachers and other employees versus actual losses incurred are available for local districts. It has been interesting — and financially meaningful for districts and CESAs — to observe that understanding how workers’ compensation losses impact premiums creates an awareness of the effect of unsafe work practices. With more information, district personnel often change their behavior and a team mind-set between schools can develop. We have stories of custodians telling each other not to lift heavy items without help. During a staff workshop, a teacher volunteered to hang up a chart and grabbed a chair to stand. In unison, the rest of the participants shouted, “Don’t! Get a ladder!” The participants knew that a fall from the chair could likely impact their experience modification factor. Following education regarding how a district’s experience modification factor is calculated, job-specific safety training should be held. Buildings and grounds training involves hazard recognition, ladder safety, and proper lifting and driver safety. Food service training involves slip and fall hazard recognition, proper footwear, handling sharp instruments, proper lifting and hygiene. Administrator and teacher training focuses on driver safety, proper lifting techniques, ladder safety and hazard recognition. Training is then done with group tabletop exercises, presentations by safety professionals, and via computer-based training. In addition to training, districts should establish safety committees and bring parties together from individual schools and disciplines to focus on employee and student safety issues. Some districts successful in holding down their workers’ compensation costs have used staff from one school to visit other schools within the district, providing a fresh set of eyes to look for potential loss exposure. When districts share safety committee meeting results with member schools, oftentimes, there are positive safety results. 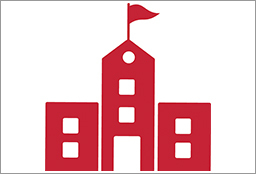 Successful districts have created a culture where safety is emphasized; a culture that tells employees and students their well-being and health is of paramount concern, and it offers the additional benefit of favorably impacting a district’s bottom line through fewer, and less expensive, workers’ compensation claims. SCHOOL DISTRICT #1 had consistently bad losses. No one in the district was truly paying attention to the problem. Their experience modification factor increased for several years in a row. When the administrators realized how much money could be saved regarding workers’ compensation costs, they implemented educational pro- grams. The district saved $54,000 in premium each year by lowering their experience modification factor. SCHOOL DISTRICT #2 identified a job type within the district that was generating most of their losses. The district focused on the troubled area and let the employees know that the cost from their depar tment was a problem. They used various methods to change behavior, which resulted in increased safety awareness and a $10,745 annual savings. This savings was 17 percent of the workers’ compensation premium. Hattendorf is a practice leader with R&R Insurance School Practice Group. You can contact him at Bill.Hattendorf@rrins.com or 262-953-7128. Article as seen in the September 2013 issue of "Wisconsin School News"